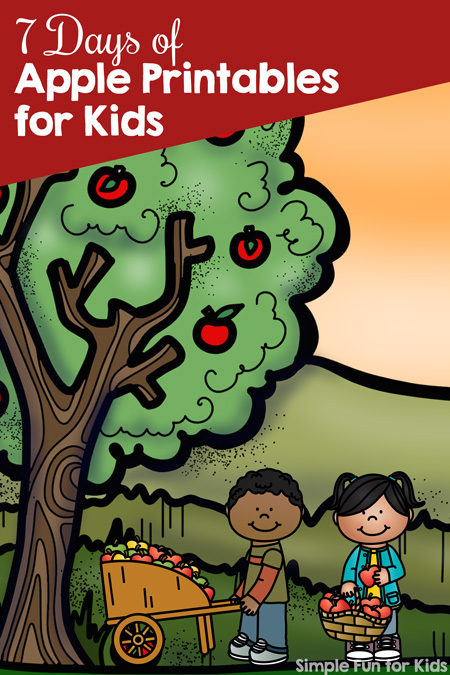 It’s day 5 of the 7 Days of Apple Printables for Kids series! Today, I have a set of Apple Basket Counting Puzzles for you. Free printable file (download below). The file includes two pages of 2-piece puzzles covering numbers 0 through 10. 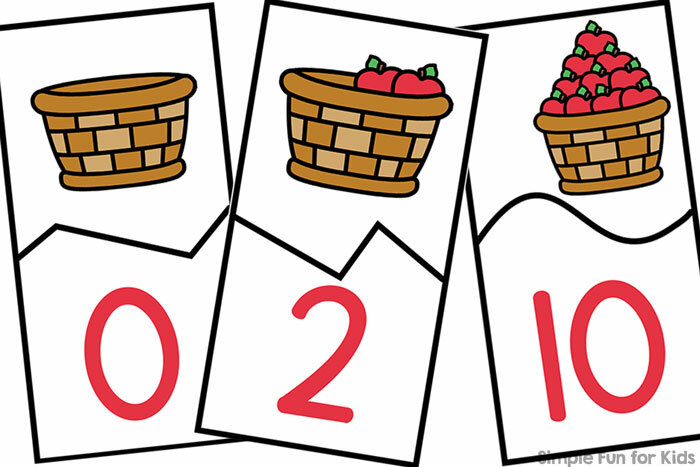 Each puzzle shows a basket with between 0 and 10 apples in it and the numeral that matches the number of apples. The puzzles are self-correcting. 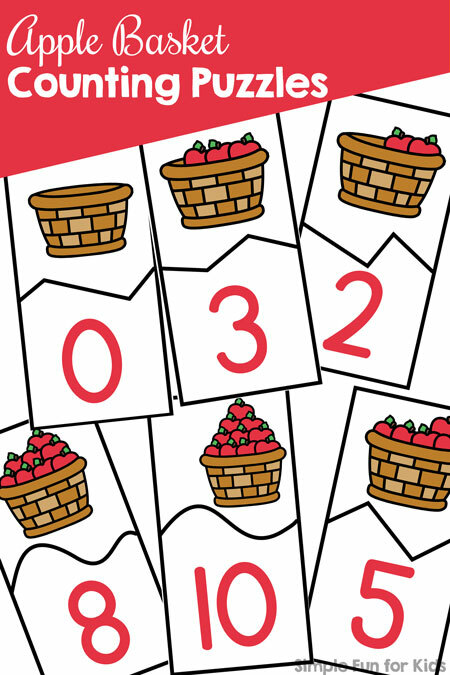 Download your Apple Basket Counting Puzzles! Want more apple-related printables? This week is full of them!